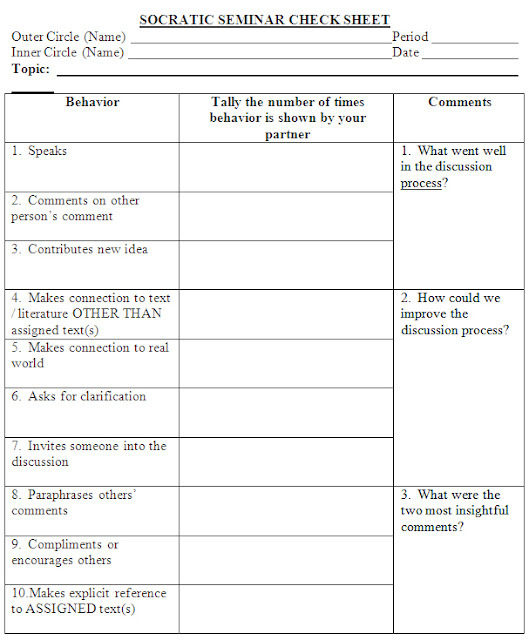 Socratic Seminar outlined partners chosen - Ideally this conversation will lead naturally to the questions that follow, that students will recognize the satire on greed in Edgar Allan Poe's "The Gold-Bug". Does man control his own destiny? How do the characters reflect the society in which they live? What do these characters' decisions and actions say about human nature and how we respond to our environment? What does it mean to act humanely? Are we required to act when we see other human beings treated inhumanely, and if so, do the times and culture we live in negate that obligation or excuse our failure to do so? Interpreting difficult text is a skill that can be mastered. Knowledge of an author's background and the historical and cultural context of a piece of literature lead to a better understanding of the work. Literary interpretation must be substantiated by evidence in the work itself. A+—50 points: Participated in 9 categories and spoke at least 15 times. A—47.5 points: Participated in at least 7 categories and spoke at least 10 times. B—42.5 points: Participated in at least 4 categories and spoke at least 6 times. C—37.5 points: Participated in at least 2 categories and spoke at least 3 times. D—32.5 points: Participated in 1 category and spoke at least once. F—25 points: Present but no verbal participation. 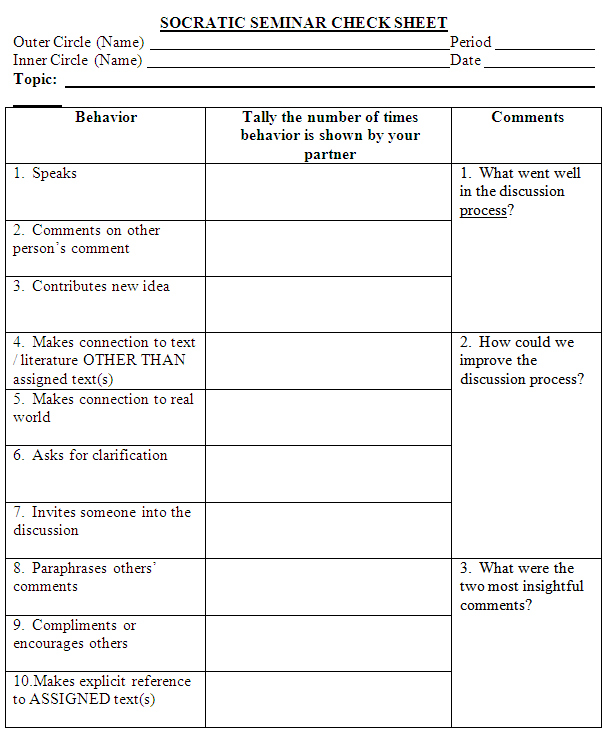 Create 8 Questions for Socratic Seminar based on "Seminar QuestionsCheat Sheet" for The Gold Bug looking at Conflict, Character, Theme, Structure and/or Satire. Journal Prompt - How do the characters in The Gold-Bug reflect the society in which they live?